This month-long plan is the best way for any beginner to learn how to build strength and control so that when you enter a Yoga class, you will feel confident and empowered. This series consists of 12 unique videos that are designed to build your strength across the four major Strength categories: Core, Straight and Bent Arm, Back and Legs. Each category contains three different workouts, all of which span across the 30 days to engage, develop and strengthen your entire body. NO experience is necessary, so this is ideal for a complete beginner. If you already have a practice, this will help you advance and enhance your existing skills. This program is the perfect way to establish your own personal practice from the ground up. I will guide you step by step through each pose, posture and movement in order to build confidence and ensure proper form and technique. This is a 10-minute preview of Dylan's Side Body & Core Lift class. Welcome! Before we get started, I want to quickly go over how to best approach this plan in order to get the best results. Welcome to Day 1! We'll begin this series by focusing on scapular strength. This is really important when working through any yoga movement that involves straight arms. Yesterday we worked the core muscles in your front body, and today we highlight the muscles in your upper and lower back. 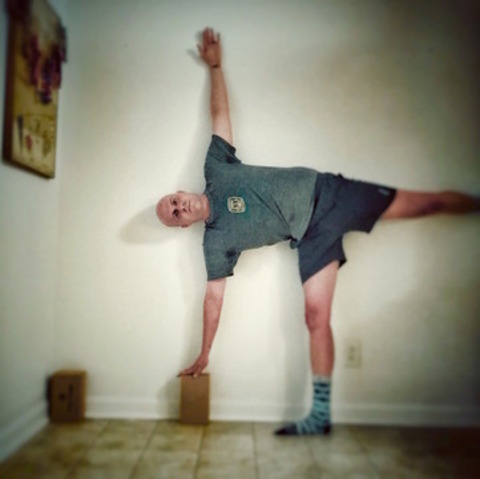 This class will help strengthen and improve mobility in the quads and hamstrings, which will make Warrior, Chair and Crescent poses much more accessible and easier. 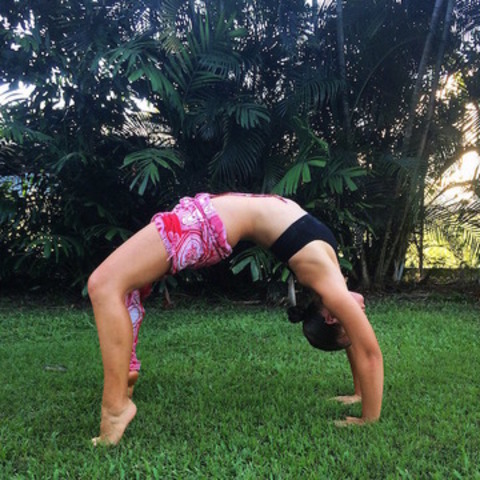 This class will not only help open the back body, but also help you with backbends as you further your practice. We're half way through this series – great job! Today’s class is all about building a balance and equilibrium to help you with standing postures. End of week 3 - let's finish strong! Today’s class is all about making you stronger in a more dynamic way. Welcome to week 4! Today we revisit core stabilization, which links the upper body to the lower body and will make you lighter, stronger and more balanced in your poses. Having gone through this practice once before, you are more familiar with the postures and can bring more attention and awareness to them this time around. Side body and core work are always challenging and require determination to keep going. The body wants to give up though your mind knows you can continue. 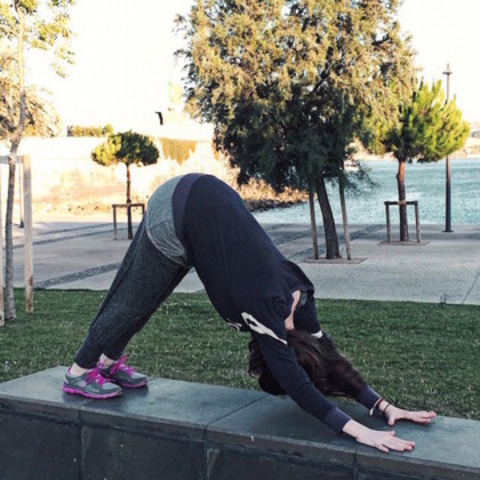 I started my yoga journey about six months ago, and Dylan’s Yoga Strength Basics for Beginners has been a crucial part in my practice. As someone who spends most of her time sitting down, I have always suffered from back pain and poor posture. 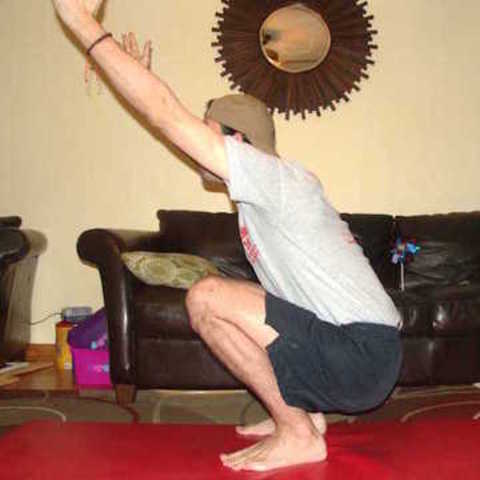 By practicing every day – and with Dylan’s heartfelt, clear, funny and awesome explanations – I have learned to recruit muscles that I never imagined I had, which has helped in so many ways with my posture. I have not suffered from back pain since. Videos like “Mobility & Movement” are essential to our well-being, and I can’t thank Dylan enough for the positive impact it has in my life. I feel a lot healthier and stronger since I have started this plan. This program has allowed me to “Be My Best Me”, and I can’t wait to further my journey into yoga! Namaste Dylan and Cody! This series’ synergistic style compliments and enhances my military physical training while it simultaneously relieves built up stress and tension. It has positively impacted my life and is a plan that I will always carry in my sea bag. Thanks! This plan has been an excellent entry point into the practice of yoga, as Dylan’s instructions are accessible and also build a foundation of poses. I look forward to each class and what Dylan has come up with to “cook your core” or get the legs “talking to you.” I can finish the class and feel confident enough to go to a yoga studio with the knowledge of poses and the strength I have gained! I love this series because I engage in movements I have never done before. I have realized that I need to practice the fundamentals in order to build true strength. Dylan's way of teaching is beautiful and very well explained. This plan is great for any level!